> Whenever I put lotion on, my dog sits by me and licks the air like he can taste the smell of my lotion. It's seriously hilarious. > When I lived in Provo, it was extremely common for me to hear the question, "Are you Josh's sister?" because everyone knew my brother, and some people even asked if we were twins. Now? Not so much. But the other day, (AT WORK, nonetheless) someone asked me the question.﻿ She probably thought I was an idiot because I sat there for a second like I was completely dumbfounded by her question (which I totally was). I went, "Uh... Josh? Yeah, I have a brother named Josh!" I totally didn't think we were talking about the same Josh until she said, "Oh my gosh, his son is the cutest thing I've ever seen." And then I knew. We were TOTALLY talking about the same Josh. > Today, I was walking up on campus while on my phone and tripped going up the stairs. So, of course, I looked around to see if anyone saw. Sure enough, there was some teenage kid behind me. I couldn't think of anything to say, so I nonchalantly smiled and said, "Shoooot." He just chuckled, but I'm sure he posted something on Facebook about the dumb girl he saw trip up the stairs. Anyway, enough with the chuckles. After all, this is a fashion blog, right?! 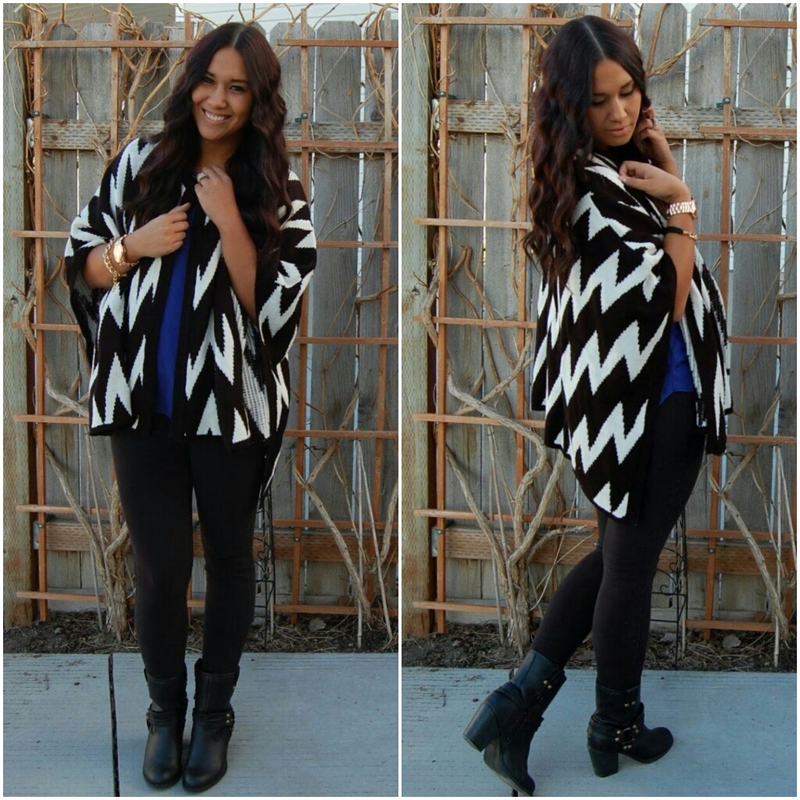 I can't stop wearing all the cute things I got from my Dear Ruby open house, including this Chevron Cape. It's so adorable and so easy to just throw on, especially with this cloudy weather we've been having. Also, I was lucky enough to be contacted by Kohl's and get a 10% OFF discount for me and my lovely readers! Just use the code BLOGS10 at checkout! Thank you all for being so amazing! P.S. I JUST found out my brother is having a baby BOY!!! I couldn't be more excited for him. Thanks, Rosie! I love this! this outfit is amazing!! You look great! I want that cape NOW! lol!